Available on new equipment only. Prices quoted are based on a 2 + 22 Hire Purchase agreement. Offer based on max 60% of MSRP price or balance to finance whichever is lower. Genuine CanAm ATV accessories inclusive. Full VAT due on signing. Minimum deal size £1,500+VAT. Repayments payable in advance. Documentation fee of £90 applies, with £10 option to purchase fee. 0% finance offer available until 31st January 2019. Alternative finance options available. All finance quotations are subject to credit underwriting and approval. Over 18s only. Terms and conditions apply. Finance is provided by Societe Generale Equipment Finance Limited. Societe Generale Equipment Finance Limited is authorised and regulated by the Financial Conduct Authority. **Valid until 31st January 2019. 5% discount off suggested retail price (excl. VAT & transport costs) with a £250 voucher off genuine Can-Am accessories, for the purchase of a MY17/18 Can-Am Traxter HD5 / HD8 – non-homologated, Can-Am Traxter HD8 Std EC T1 Homologation, Can-Am Traxter HD8 DPS – nonhomologated, Can-Am Traxter HD8 PRO / HD10 PRO – EC T1 Homologation, Can-Am Traxter HD10 XT – non-homologated, current or non-current year model. 5% discount off suggested retail price (excl. VAT & transport costs) with a £100 voucher off genuine Can-Am accessories, for the purchase of a Can-Am Outlander MY17/18 Outlander 450 – 570 – 650 – 6×6 – non-homologated, EC T3 Homologation. This does not apply for MAX models. This offer is non cumulative with other BRP offers. This promotion cannot be substituted and only applies to NFU members living in England & Wales. Offer valid at participating local dealers. ***Valid until 31st January 2020. 5% discount off suggested retail price (excl. VAT & transport costs) with a £250 voucher off genuine Can-Am accessories, for the purchase of a Can-Am Traxter HD5 / HD8 – non-homologated, Can-Am Traxter HD8 Std EC T1 Homologation, Can-Am Traxter HD8 DPS – non-homologated, Can-Am Traxter HD8 PRO / HD10 PRO – EC T1 Homologation, Can-Am Traxter HD10 XT – non-homologated, current or non-current year model. This offer is non cumulative with other BRP offers. 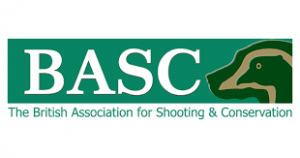 This promotion cannot be substituted and only applies to BASC members living in the United Kingdom. Offer valid at participating local dealers.